Avoid a rush hour car accident by following the tips listed below. 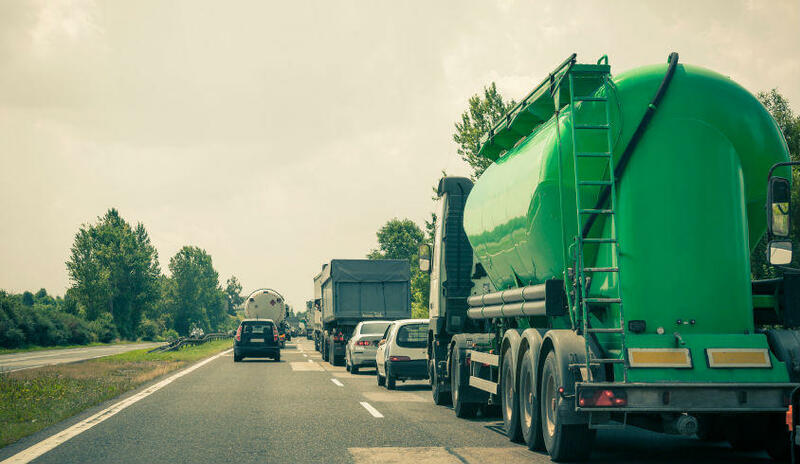 Rush hour accidents account for around half of all accidents occurring on the roads, according to a report from the National Highway Traffic Safety Administration. Rush hour is the time between 6 and 10 o’clock in the morning and 4 and 6 o’clock in the evening. The following tips provide ways to avoid rush hour car accidents. Changing lanes is not easy in rush hour traffic since all drivers want to get to their destinations ahead of everybody else. Some drivers may even have a bad temper and will easily get angry when other drivers try to cut into their lane. This can lead to road rage, which makes it essential to be extra careful when changing from one lane to another. Drivers should double-check blind spots and use a turn signal ahead of time before they change lanes. This ensures other drivers are aware of the intention of their fellow driver. Although it is not easy to maintain a well-mannered disposition during rush hour, St. Louis car accident attorneys would like to remind drivers that exhibiting good manners can save their lives and the lives of their passengers. A friendly wave or smile can act as a contagious act of good will. Drivers who inadvertently cut off other drivers can apologize whenever possible in order to calm the other driver down. A driver should be willing to yield, particularly at intersections where many people may aim to beat the light. The apprehension of arriving late compels many drivers to take risks that may cause harm to them and other road users. This can be managed by simply leaving home or the office earlier than usual. Drivers can try to adjust their schedule in a way that they do not get caught in traffic. It is advisable that people release stress after work before they hit the road. Releasing stress for a few minutes before driving home can help avoid flare-ups during the rush hour traffic. Taking a few minutes to release stress can prevent accidents on the road. Yoga style breathing techniques can help beat the stress after a long day at work. Many drivers listen to their favorite songs before they start the car. Drivers can also take a short drive to the nearest park and spend some time there before heading home. Tailgating is among the main reasons for rush hour accidents, particularly along the highway. Drivers who tailgate are at a risk of hitting the car in front of them or other cars on the road when the car in the front stops unexpectedly. It is important to maintain adequate distance with the vehicle in the front even if it provides other cars the opportunity to cut in. Drivers involved in car accidents due to another’s negligence may be entitled to receive compensation. Contact The Hoffmann Law Firm, L.L.C. at (314) 361-4242 to successfully file a claim and receive the damages that you deserve.